For the past 9 years Sille Krukow has been making strategic changes in human surroundings, systems, services, products and platforms in order to change and improve human behavior - improving employee and consumer flows, sales and product development at both public and privately held companies, she has effectively increased consumer loyalty, employee satisfaction and revenues, to mention some. 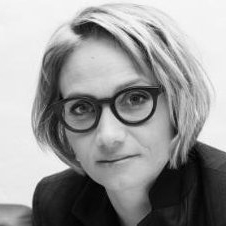 Sille Krukow is a Danish Behavioral Design Expert, providing research based choice architecture, putting cognitive psychology, behavioral economics, data and human mappings into practice. Based on observations and data, she and the team at KRUKOW, maps out human behavior, sets up measurable targets and tests prototype-solutions before creating final recommendations for private companies, public institutions, ministries and behavioral scientists. Her methodologies has been developed and tested together with leading scientists in human behavior and is now being taught at universities worldwide. Sille holds a MA in Visual Communication Design from the Royal Danish Design School. She is the founder of KRUKOW - Behavioral Design Team.